By Xah Lee. Date: 2018-09-22 . 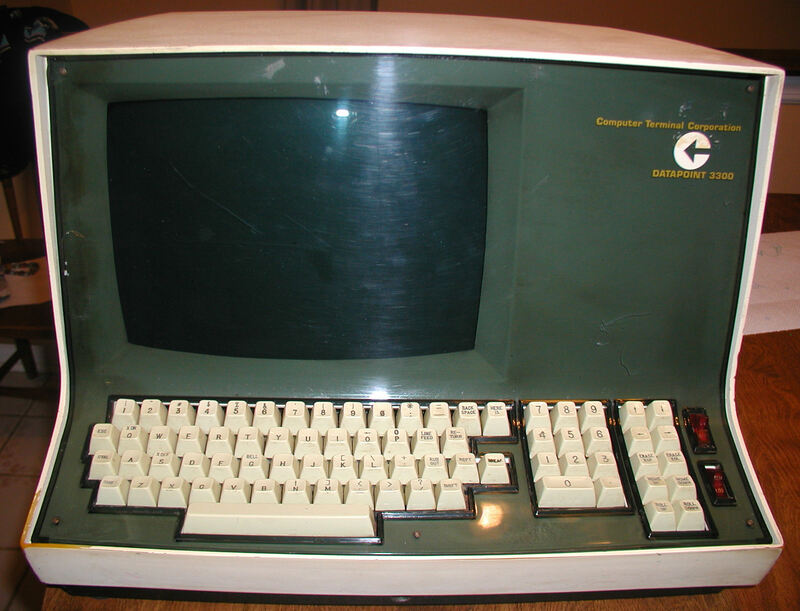 The DataPoint 3300 was the first computer terminal manufactured by the Computer Terminal Corporation (later renamed to Datapoint Corporation), announced in 1967 and shipping in 1969. Since this terminal was intended to replace a teleprinter such as those made by Teletype Corporation it was one of the first glass TTYs (glass for the screen, TTY as the abbreviation for “Teletype”) ever produced.